For most of us, thinking of going to see a chiropractor means we are looking for a specific kind of pain relief such as sciatica pain relief or lower back pain treatment. 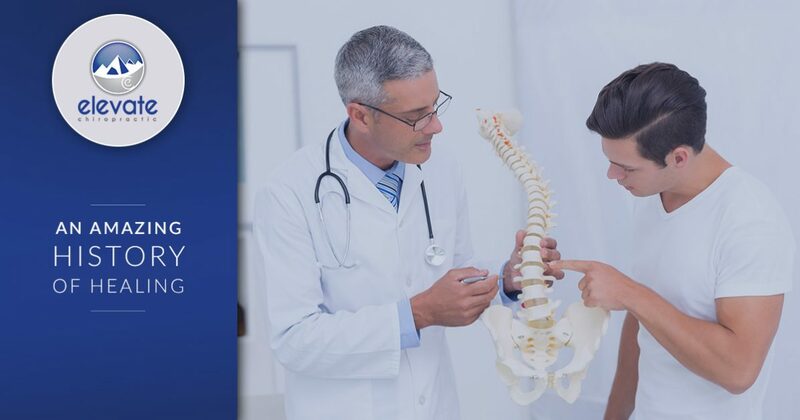 But chiropractic care has been a form of affordable health care for well over a century, providing everything from treatment for debilitating aches and pains to supplemental care for serious diseases. Today, Elevate Chiropractic, your Fort Collins back pain relief specialists, are going to take a moment to remember a darker time in world history when chiropractic care came to the forefront of modern medicine and saved lives by the thousands. If you have questions about how chiropractic care can address your back pain or other undesirable symptoms ranging from anxiety to headaches, call our Fort Collins office to schedule a free consultation. 100 years ago, the world faced an epidemic that we have not seen the likes of since: the Spanish Influenza. Towards the end of the First World War, the Spanish flu raced through trenches, field hospitals, and civilian communities around the glove, ultimately killing somewhere between 20 million and 50 million people. Traditional medicine of the time resorted to a guess and check approach as they tried desperately to battle the respiratory illness that was swiftly claiming lives. Enter the chiropractors. In his 1978 book, The Official History of Chiropractic in Texas, Doctor Robert Rhodes, DC, noted that chiropractors had an unusually high level of success in treating patients confirmed to have the Spanish Flu. In Davenport Iowa, for example, 50 medical doctors treated 4,953 patients, 274 of which — or roughly 5.5% — succumbed to the illness. By contrast, 150 teachers and students at the Palmer School of Chiropractic treated 1,635 patients with the Spanish Flu, losing only one. Statewide, medical doctors saw similar numbers, losing roughly 5% of the 39,953 patients they treated. Again, chiropractors statewide lost only 6 total patients of the 6,116 people they treated. You can read excerpts from Dr. Rhodes’ book here. So why was chiropractic so successful? Why did the best medical techniques of the time fail so many people? The answer is simple: Chiropractors treat people, and the doctors of the time were treating symptoms of an illness they didn’t understand. Although chiropractic care does a wonderful job a relieving symptoms ranging from back pain to allergies to chronic fatigue, it is really treating the person as a whole — improving their overall wellness and allowing them to get the most out of their immune system and natural, biological resiliency. It is for this exact reason that chiropractic care is such an important part of your overall health and happiness. There will always be medicines that treat a symptom or provide temporary relief from pain, but chiropractic care will always provide a patient-centered focus with the goal of actual healing, not just treatment. By treating the overall wellness of our patients as a whole person, they tend to see more complete and effective relief. For a more detailed list of research and conditions that chiropractic care can help with, visit our site. If you are suffering from lower back pain, sciatica pain, or neck pain, and are looking for a treatment that will provide true relief and lasting results, schedule a free, comprehensive consultation today. Our friendly, experienced team will be happy to answer your questions and discuss how quality chiropractic care can improve your quality of life.